While some of my childhood toys fell into the "take it or leave it" category, there was always something special about Barbie. She and her gal pals (and Ken, of course) had all sorts of imaginative adventures that took them near, far and anywhere in between. I can remember getting lost in the world of Barbie, spending hours changing her clothes and brushing her hair — she's an icon that has the ability to tap into a girl's creativity in such a fun way! 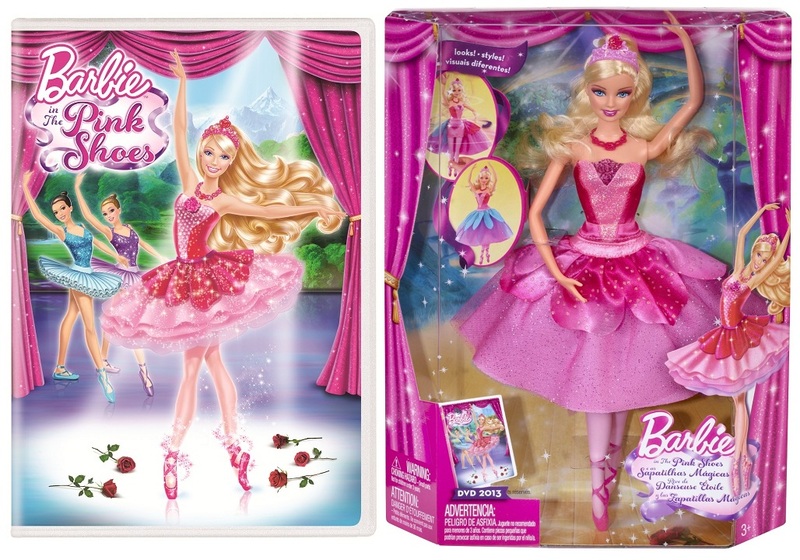 So this spring there's no better way to surprise and impress the Barbie fans in your life than by celebrating her 10+ years of entertainment with the new toy line surrounding her 25th direct-to-DVD film, Barbie in the Pink Shoes. Barbie has brought ballet back to the spotlight for the first time in years, introducing a new generation of girls to the moves and music of the legendary titles Giselle and Swan Lake. 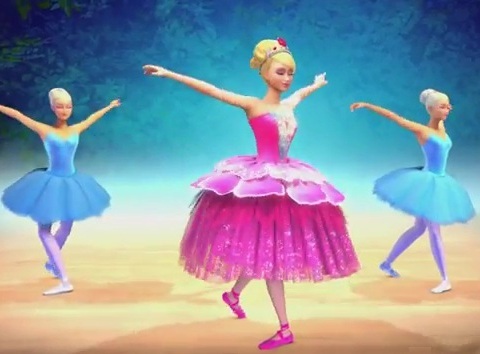 Viewers are able to dance their way through the magical adventure right along with Barbie as Kristyn Farraday, a ballerina with big dreams. When Kristyn tries on a pair of sparkling pink shoes, she and her best friend, Hailey, are whisked away to a fantastical ballet world where she discovers she must dance in her favorite ballets in order to defeat an evil Snow Queen. Will she twirl and leap to success or will evil prevail? 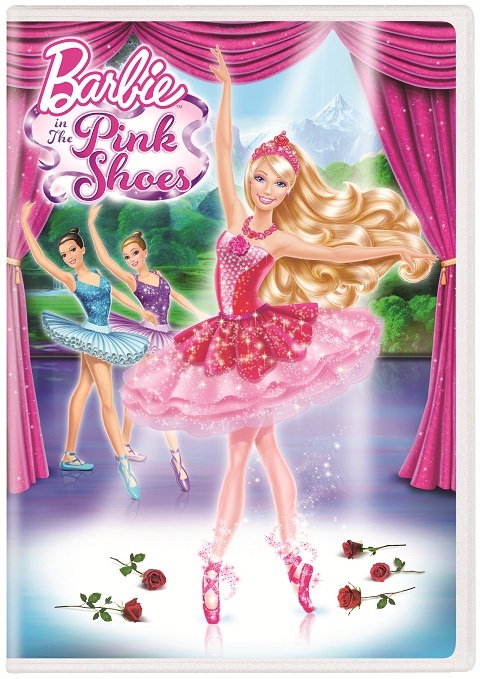 While we have viewed themed Barbie DVDs in the past, the combination of the bright colors, vivid animation and beautiful music really caught my girls' attention in Barbie in the Pink Shoes. They loved seeing Kristyn embark on her journey and see that, when you follow your dreams and dance from your heart, anything is possible! As a huge bonus, we were able to send over some questions to Jenelle Manzi (professional ballerina in the New York City Ballet and the dancer who portrayed Kristyn through motion-capture technology) and received her responses through video! As if my young Barbie fans weren't excited enough about this movie and getting to "meet" Jenelle, being able to interact and extend the characters off-screen as well made it even so much better. The girls were immediately taken with Barbie as Kristyn Farraday and seeing her magic pink shoes and sparkling costume. They couldn't wait to get her out of the box! 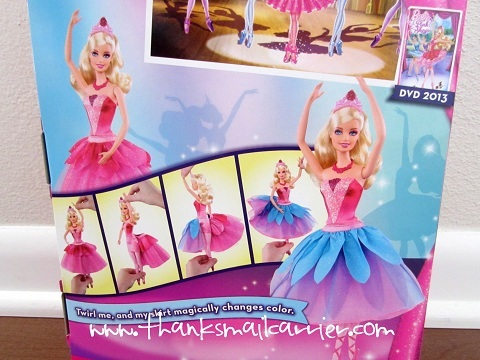 However, before that even happened, we noticed the back of of the box showed the unique and special twist to this particular doll and her beautiful dress. Ooohhhhh, Little Sister B pointed in awe, Her skirt CHANGES COLOR! 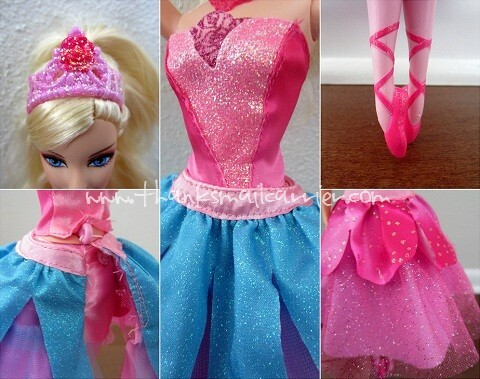 Sure enough, by grasping this doll around the waist and transforming her with a pirouette-style twist, her fashions transforms back and forth from elegant purple and blue to a stunning dancing costume in all shades of pink. With everything from her rose tiara to her sparkling pink shoes, it is hard to not just gaze at this beautiful ballerina and all of the little details that went into making this doll special! The girls have been thrilled with Barbie as Kristyn Farraday and how easy it is to switch back and forth between her two looks. It has really taken the magic of Barbie in the Pink Shoes to an entirely different level and has definitely increased the amount of laughing, playing and spinning of our own around here! With a suggested retail price of $19.99, this Barbie in the Pink Shoes – Barbie as Kristyn Farraday 2-in-1 Doll is available now in stores and online. Keep an eye out also for the Barbie in the Pink Shoes DVD, which is also available with a retail price of $19.99. and a Barbie as Kristyn Farraday 2-in-1 Doll! A big thank you to Barbie for providing a DVD and doll for me to review as well as for one lucky giveaway winner. The opinions shared are my own and honest and if you really need to see more, click here to see how I roll. My daughter would be the lucky recipient of this Barbie DVD and doll if I win. That's easy. It would go to my niece. My daughter for her birthday next month. Since I am past the age of doll playing & have no children of my own, the prize would go to my younger cousin. me who the lucky recipient of this Barbie DVD and doll would be if you win! I would love to give this to my niece. she is just starting her barbie collection and this would be perfect. This would go to my niece Gracie. She would love it! My daughter would love to get this if I won! 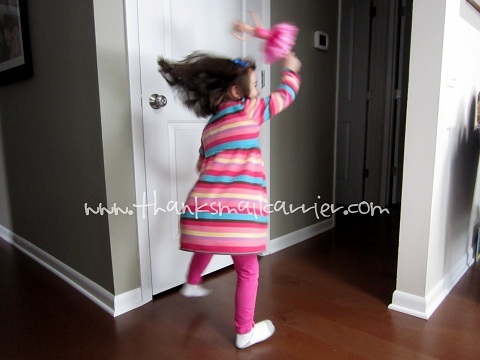 She already loves Barbie and just started taking ballet lessons. My daughter wuld get this! My little girl would love this! Thanks so much for the fantastic giveaway! My 7 year old dd. My five year old wanna-be ballerina daughter would be the happy and lucky girl if I won. My daughter Olivia would love this DVD and doll!! This would be for my youngest daughter, Avery. Thanks for the chance to win! My five year old would squeal at a pitch only dogs can hear for this. It would be for my niece, she loves playing with her dolls. This would be for my 4 yoa niece. Thanks. This would be for my Barbie obsessed granddaughter. I would give this to one of the children I babysit. I'd love to win it for my niece. The lucky recipient would be my granddaughter,Barbie is her Hero! It would go to my daughter. My 5 yo would love this! I would love to win this for my 5 yr old daughter. My daughter would be the lucky girl! I would love this for my daughter or my niece! My daughter has just started to get into barbies (finally!!) She would love this! 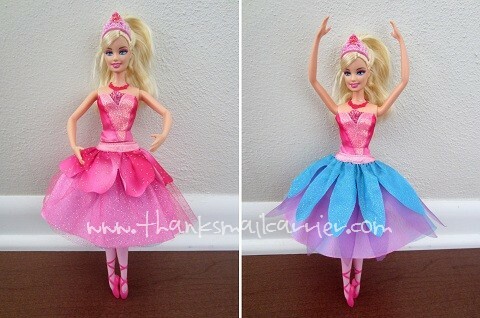 My daughter loves Barbie and loves ballet, so this would be for her. Thanks! If I won, I'd give this doll to one of my nieces, but choosing which one will be difficult. This would be for dd 4 and 6. I'd give the doll and DVD to my daughter. My daughter, she'd love them! My 5 year old daughter will love this! This would be for my daughter who is 7 Macy. My four year old daughter. It would definitely be for my cute little niece, Taylor! This would be for my grand daughter - thank you. My youngest daughter would be surprised with this giveaway. It would be for my two nieces! My neighbors have two cuties who would love this. I have twin girls that would love to have this Barbie. It would be my granddaughter, Hannah! My daughter loves Barbie, but I think all girls do. This would be for my girls! It would be for my 5 year old daughter who loves ballet and barbie! This would be for my great niece. This would be my niece's first barbie! :) Good luck to all ! This would be for my daughter Georgia who would love her. It would be for my 8 yr old daughter. She would be so excited! My niece is obsessed with Barbie! She would love this! My niece would get this. She loves Barbie!!! This would part of my donations to the Salvation Army stocking drive at Christmas. My daughter thinks shes already won! Shes so excited! I'd give it to my niece, she loves Barbie! our daughter would be the lucky girl! This would be for my 7 year old niece. This would be for my daughter for her fifth birthday.